Every kid loves chocolates as much as they love ice creams, pizzas and pastries. You just can’t refrain from asking your kids not to lay their hands on any of the food products but still, a bit of diet counseling can be given to them. If the kids have to be enlightened about it, the parents should be aware of the same, first of all. The foods that both adults and kids consume can affect the overall health, in a way. As kids are more prone to diseases, it should be highly noted that they are properly attended. These days, tooth decay among Children in Thrissur is high. The children’s dental centre in Thrissur such as Dr Renju Anil's Dental Wellness Clinic, run by Dr. Renju Anil provides exemplary tooth cavity treatment in Kerala. This is one reason for considering Renju Anil’s Dental Wellness Clinic as one of the best Kids Dental Clinic in Kerala. Isn’t Tooth Decay a Real Problem? Tooth decay is a serious concern and a chronic disease among kids. 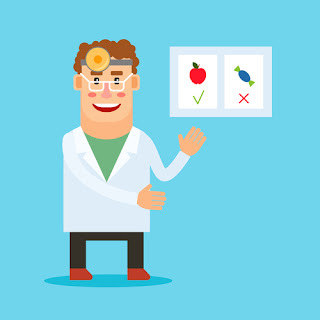 It is preventable only if significant diet counseling is provided. 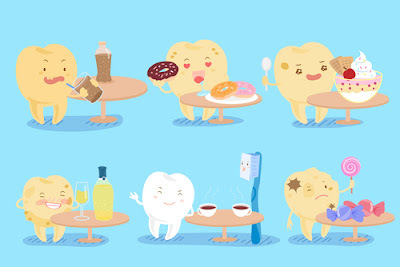 Do you know how does tooth decay happen? It happens when plaque in the mouth seems to be in contact with the sugar residue that might lead to the production of acid which would eventually attack the teeth. In order to put an end to the issue, the only easy way out is getting rid of candies, soft drinks and cookies. Of course, it would never be possible for most of the kids. So the parents must ensure that they have a look at the nutrition facts that have been labeled on the products. They must buy those products with very low sugar content. Also, a nutritious diet needs to be taken for a reason that the tissues in the mouth can resist infection (if any) and gum disease and tooth loss can be avoided. It is recently found out that tooth diseases are common among children with poor intake of nutrition. Is Gum diseases troubling your child's teeth?